Top Liverpool restaurant The Art School on Sugnall Street in the city’s Georgian Quarter has completed the last phase of its £380,000 expansion. 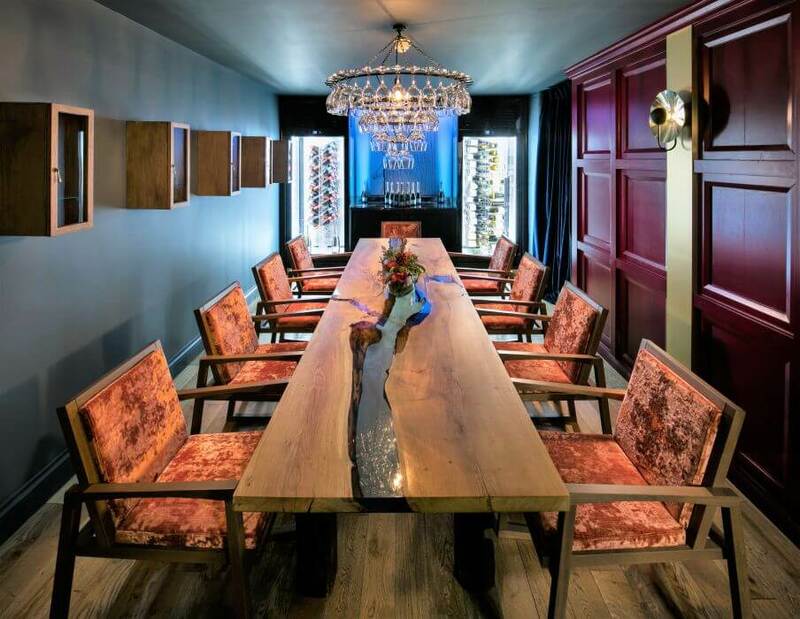 In addition to the new cellar Champagne and cocktail bar and tasting room which opened at the end of 2017, the last piece of the jigsaw is a new 24-seat private dining facility. Both new areas are accessed from the popular Art School restaurant, with the Champagne bar also benefitting from below street level access on Myrtle Street. Chef Patron, Paul Askew said “We had the opportunity to acquire additional spaces in the building and that was obviously one factor in our decision. My main motivation was to keep pushing the city’s gastronomy offer forward to deliver the capital city standards it deserves. Having these new facilities will really strengthen our ability to do that”. The new facilities are both equipped with their own state-of-the-art kitchen facilities. “One of our guests recently described it as like a spa where the treatment is food and drink – I’m more than happy with that,” says Paul. The Moriarty Private Dining Room, named in memory of Paul’s late mother, is the final element in The Art School offer for Paul. “The private dining room has been an ambition of mine since we opened but it’s taken a fair amount of time to conclude negotiations. Up until recently we’ve accommodated larger parties in the main dining room, which is fine but can change the ambience a little on occasion. The private dining room has its own reception bar and washroom facilities – it’s effectively a little discreet haven and has already hosted a number of dinners including a delegation of Chinese guests to commemorate the launch of the Terracotta Warriors exhibition”. Prix Fixe Menu: 2 courses, £25.00; 3 courses, £32.00. Available Tuesday to Saturday at lunch (12pm-2.15pm) and dinner (5pm-6.15pm). We've launched our afternoon tea service in the Art School Cellars and we've been delighted with the response from our guests. Chef Askew and his team have developed a range of menus. You can peruse them at your leisure here with a vegetarian option also available here.